Wisdom from Kammbia 3.3: Why Do We Like Cheesy Songs? One of the joys at work I get to do is listen to music and working in an environment where you’re processing foreclosure claims on a computer for eight to ten hours a day can be monotonous. However, listening to music provides a much-needed stress reliever from my job and makes my day a little more enjoyable. This week I was listening to a CD that has 70’s and 80’s music on it. Well, I didn’t realize I had Christopher Cross’s Sailing on that CD. I have always liked that song growing up and heard it on the radio quite often. Furthermore, I realized that Cross’ biggest hit was one of the cheesiest song of the 70’s. I know there are numerous others I could add to that list. But, my question is why do we like cheesy songs? Is there a psychological or sociological need to have mindless entertainment a part of our lives? I don’t know if that’s true, but there may be something to it though. Maybe it is due to our current lifestyle, where we work forty to sixty hours a week. Then we have to make room for family time, church, socializing with friends, and other extracurricular activities that we need some form of entertainment that doesn’t make us think or work hard to figure what kind of statement the artist or musician is trying to make. 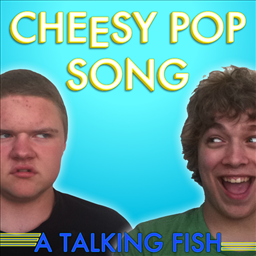 To my readers, I would like to know what are some of your favorite cheesy songs and why do you like them?